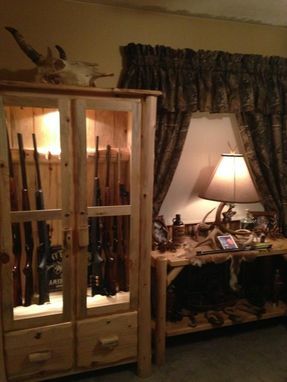 This gun cabinet is designed to hold 10 guns. Made of solid cedar and pine. All components are solid wood. No plywood, particle board or veneers. 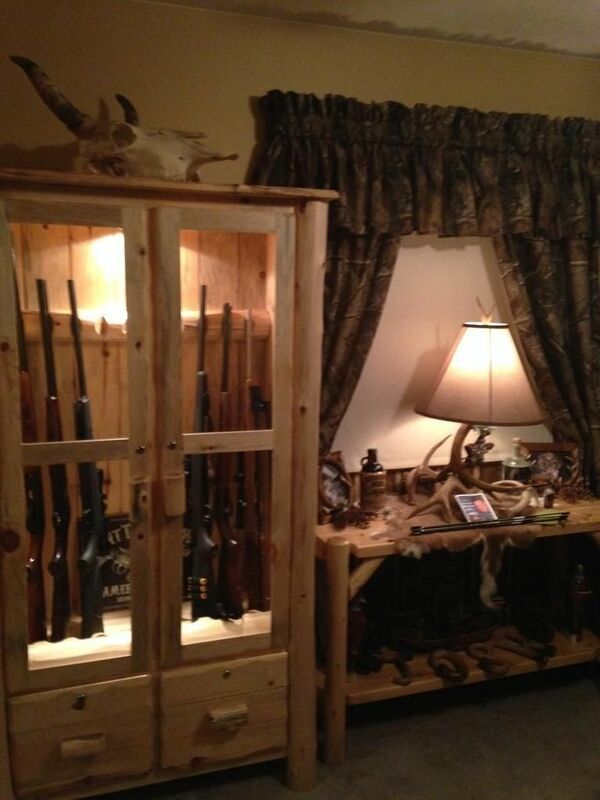 Doors and drawers are keyed alike.